Samsung said its executives and independent experts will disclose their findings in a press conference in Seoul. Investors say Samsung must give a convincing explanation for the fires before the launch of its Galaxy S8 smartphones. Samsung said it will announce on Jan. 23 the results of a probe on what caused some Galaxy Note 7 smartphones to catch fire, as the firm seeks to recover from one of the biggest product safety failures in tech history. 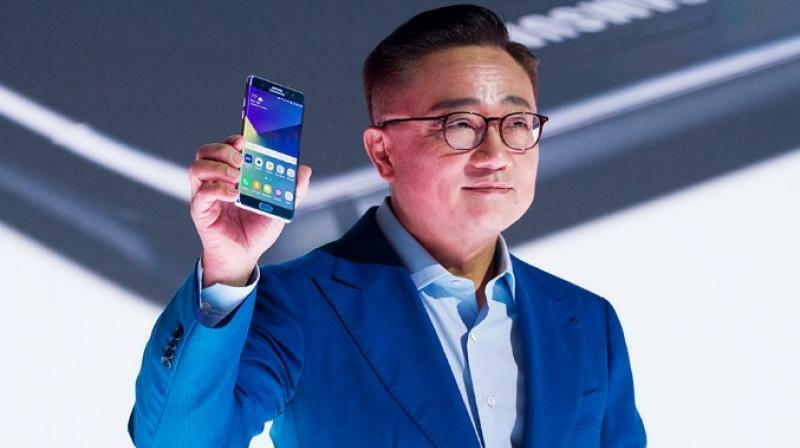 The head of it mobile business, Koh Dong-jin, who announced the initial September Note 7 recall, will attend the briefing, Samsung said in a statement on Friday. A person familiar with the matter told Reuters earlier this week that Samsung's probe had found the battery was the main cause of Note 7 fires. The world's top smartphone maker needs to reassure consumers that its devices are safe in order for the company to recover from a project almost $5.20 billion hit to its operating profit from the Note 7's collapse over three quarters. The company initially announced a recall of some 2.5 million Note 7 phones in September and identified the cause of the fire as a manufacturing process problem at one of its suppliers, later identified as affiliate Samsung SDI. But new Note 7s with what Samsung said were safe batteries from a different supplier continued to catch fire, forcing the firm to permanently halt sales. The firm in October said it would examine all possible causes and hired third-party firms as part of its probe.